Prestonwood Network: How did God lead you and your family to Portland, Ore., to plant Remedy City Church? Josh Carter: God led our family to Portland almost four and a half years ago to join His activity. Before that, we served on a church staff team in East Tennessee at Tri-Cities Baptist Church. We then transitioned to Las Vegas to serve alongside the staff team at Hope Church to learn more about what God was doing on the West Coast. How did we get to Las Vegas and then to Portland? The answer to that question is always because of obedience to God’s call on our life. God used multiple ways to call us here. During our final years in Tennessee, I was doing lots of international travel on mission projects, and God used that time to open my eyes to what He was doing around the world. The call actually came during my morning devotional while I was reading through the book of Acts. Acts 20:24 was a verse that God gave me to soften my heart about moving someplace where there was a great need for a Gospel movement. We first believed that we were going to do international work as missionaries, but through praying, seeking lots of counsel on our church leadership team, and attending a church-planting assessment, we began to see God start shaping our direction toward planting on the West Coast and the great need and opportunity that was there. Shortly after that, God used relationships we had both in Tennessee and Las Vegas to move us to Las Vegas to serve at Hope Church to further explore the call God was putting on our hearts. So, we like to say that God used His Word, His people (counsel), and our desires and circumstances to point us in the right direction. However, taking that next step of obedience to leave was very difficult—leaving family and people so familiar to us—but it was clear. To say God did a big work in our lives while in Las Vegas is an understatement. God worked in us so deeply there that it shaped who we are today. In fact, a lot of the fruit we have seen in Portland has come from what God first did within us while we lived in Las Vegas. Pastor Vance (Pitman) always told me, “What God wants to do through you, He must first do in you.” We have experienced that first-hand and thank God for our time in Las Vegas as we prepared for Portland. It’s a long story about how we came to Portland, but let’s just say it was not our first choice. Everyone says their city is hard to plant, and I do believe that is true because it is something we can’t do by ourselves. However, Portland’s church-planting statistics speak for themselves, and it was just not a place that I would have chosen. However, just like our call to church planting, God used the same framework to call us to Portland. Through His Word, His people (counsel), a change of desires and circumstances, and much prayer, it was obvious this was where God was taking us. Another thing Pastor Vance always says is “God’s #1 call on your life is not ministry, but intimacy.” If there were one place where God would have called me to serve to bring me to a deeper understanding of that truth, it is Portland. That has been our story here. We have been in Portland for four-and-a-half years and launched the church around two years ago. Prestonwood Network: What has been one of the biggest successes during your time at Remedy City Church? Josh Carter: There is no way I can pick one thing, but nothing gets better than seeing Jesus change people’s lives. We have witnessed Jesus change lives; we have baptized people at a local coffee shop, and have even sent out our own missionaries to Japan. Looking back, in such a short amount of time, we have seen some great God-things happen. One of my favorites is the fact that we have been a true asset to our community. In fact, a local magazine for our community of 98,000 people did a two-page article on how our new, young church has already impacted our community. What a blessing! We are already planting another church in Tillamook, Ore., and have a church-planting apprentice planting a Korean church. Prestonwood Network: Can you share with us a few practices that have worked for you during past Easters, as far as engaging your people in evangelism and inviting their friends and neighbors to church? Josh Carter: We have only been in services for two years in Portland. In fact, the first preview service we ever did was on Easter. However, it was an Easter we will never forget—but wish we could. We actually were unexpectedly locked out of the school [where we met for services] and had to host Easter service “unplugged” outside. Let’s just say it wasn’t expected, and we did what we could. Church planting offers all kinds of twists and turns, and this was one of those moments where you just have to believe God is working and doing things differently—and that is OK. No matter what is thrown at you, just trust the Lord and make adjustments. We have held Easter egg hunts, which seemed to be great hits. In fact, we have had an Easter egg hunt with 1,000+ people in attendance. We have gone door-to-door, etc. However, I think the best evangelism that we have seen is friends-inviting-friends. There is nothing better than a personal invite, and I really don’t think it matters what culture you are in. Portland is known as one of the hardest but I still believe friends-inviting-friends works in any culture. Easter is a great time to do that. We make sure our people have invite cards with them by supplying them each Sunday leading up to Easter. We do this all the time, but make even more of an emphasis at Easter. Honestly, we don’t get a ton of people coming to our church because of activities. The large egg hunt we had a few years ago was great, but we saw zero people come to our church because of it, and that is not why we do activities. We do those events, in partnership with the local community, for the community. Those events bring us great relationships where we equip others to have spiritual conversations and build deeper relationships. Our strength is being the Church and watching those relationships lead to deeper conversations. Prestonwood Network: What excites you most about the future at Remedy City Church? Josh Carter: I am really excited about having a place of our own. I am really excited about what God continues to do with our church in raising up leaders and seeing other churches planted. I am excited for our community partnerships, such as our relationship with the school where we meet. The principal just asked us to lead a two-day leadership retreat for her whole staff in the coming months. That is awesome! I am excited to see all God has done and will do with our church partnerships from around the country. Partnering is fun because it doesn’t just impact Portland; the work we get to do actually impacts the other cities we partner with. When teams come here, we give the field training, and then watch them go back and love their cities as well. I love that Remedy has such a passion for other churches in our city and world. Prestonwood Network: How has God been teaching you and growing you personally in the last several months? Josh Carter: The last several months have been personally difficult for me as a leader. Nothing moves quickly here in the Northwest, and this culture makes it difficult for someone who likes to work and see things move fast. But God always brings me back to one lesson: No matter what the church ends up looking like or how many churches we are involved in planting, the end goal is always intimacy with Him. These last several months, God has brought us through some difficult decisions and some leadership changes that were really difficult for me personally. However, it has made me believe even deeper that God is the One who builds His Church, and my prayer is not just a part of the work of ministry; it is the work of the ministry as Pastor Vance always told me. Church planting is a spiritual battle, and to fight it, you must use the proper weapons. I’ve had to learn the hard way that sometimes it is not how hard you work, but how hard you pray and trust that God’s will will be done that bring the results. Maybe I’m slow and it’s a lesson I have to learn over and over, but it is the lesson God continues to show me in this journey. Prestonwood Network: What would your message be to a church planter who is really struggling right now and feeling like throwing in the towel? Prestonwood Network: How can the Prestonwood Network be praying for you? Pray for death-to-life stories and the church to continue grow. Pray for leaders within to be raised up and become co-laborers in the work. Pray for our existing partnerships to grow and new partnerships to join in. Pray for me and our leadership to have wisdom as some big decision are to be made soon. Pray for the health of our family and team (emotionally, mentally, spiritually). Pray against the Enemy in the spiritual warfare that we experience on a daily basis. Pray for our church planting efforts at Remedy Tillamook and Rejoice Church, as well as our missionaries (the Workmans) in Japan. 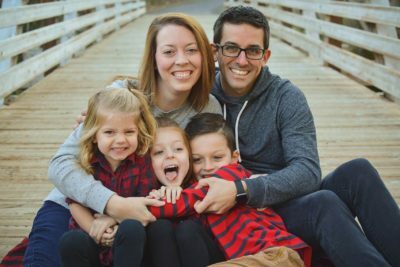 Josh Carter serves as Lead Pastor at Remedy City Church in Portland, Oregon. More information on Remedy City Church can be found here: http://remedycitypdx.org/. Please feel free to share a word of encouragement or prayer to Pastor Josh at josh@remedycitypdx.org.